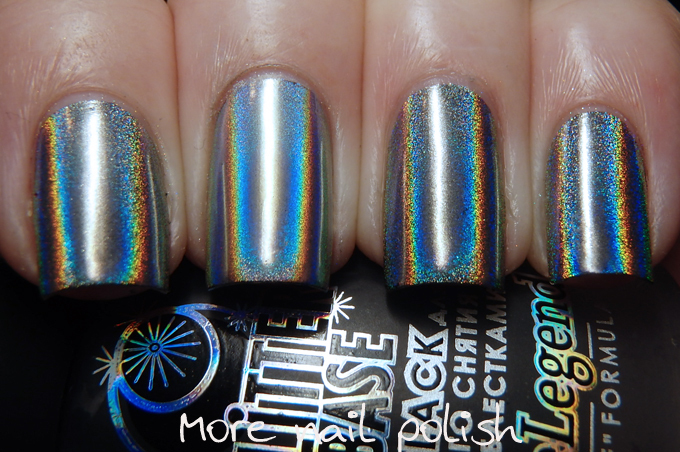 The Polish Chrome Wars Part 6 - Holo Powder Comparison - Are all brands the same? This week on the polish chrome wars I bring you the challenge of the holo powders. I've done this already with the chrome powders in Part 5, and today in Part 6 I bring you the holo powders. Are they all the same? What do you get for your dollar? Well lets find out. 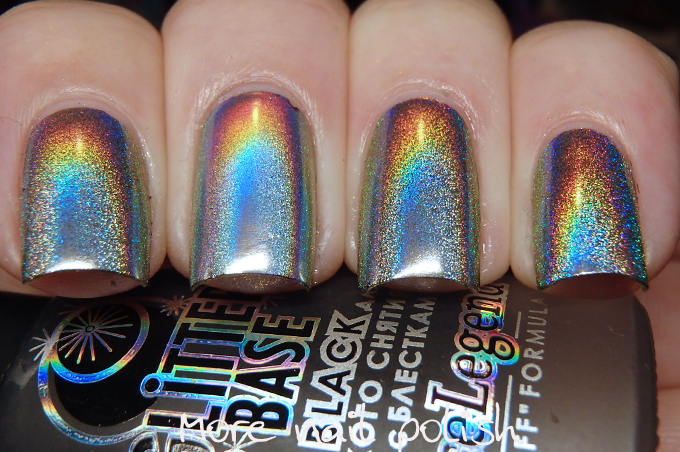 Here is a swatch of 4 different holo powders, rubbed into a black base of Dance Legend Glitter base. This was just one application of the powder. As you can see, three of these powders are nearly in distinguishable, and one is rather different. The three similar ones all have a coarse holographic flame and all provide about the same level of opacity over the base colour. The middle finger has a much finer holographic finish and a more silvery chrome appearance when out of direct sunlight. So which is which, and what do you get for your dollar? As far as application, they were all pretty much identical. Very easy to rub in to the glitter base and all had the same level of lasting power (which is terrible without top coat, but excellent either with a gel top coat or an aqua top coat). So what do you think? Is the linear one worth all the extra money? Born Pretty holo powder provided for consideration, other powders bought by me. It can be done with shadow? They don't disclose the micron, but I'd say it's about 14 too. I did try a nail with some of my original powdered 14 micron spectraflair and it was nearly identical. I didn't want to post a pic of it though in case people freaked out with me touching spectraflair. Awesome info, thank you. I know this must now be some sort of cosmetic grade, but it sure is nice! Thanks so much for your great info! How did you make It? Did you wait until the peel off base dry and rubbed the holo powder? I'm charmed! So beautiful! Yes, just one coat of the peel off base. When that is dry just rub the powder in with your finger.